Inquiring Adults, come on over to the Collective’s Open House and check out our AMP Program (designed just for Adults). Our AMP Program director is Ben Geise. Click here to read his bio. 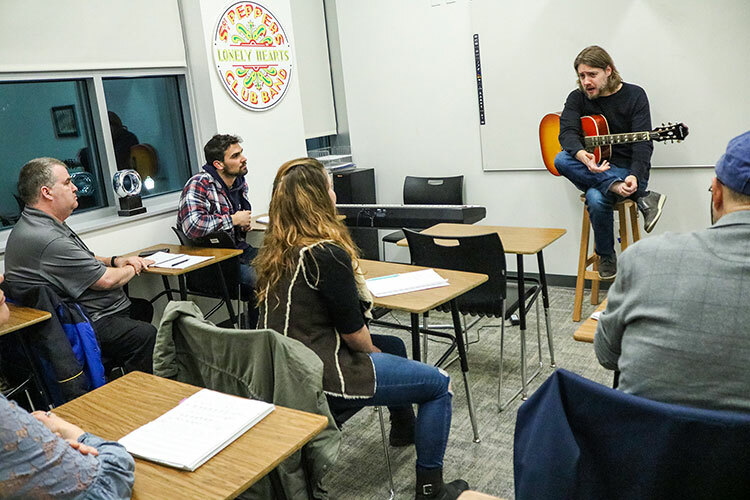 Here he is teaching one of our AMP classes – Applying Harmony. 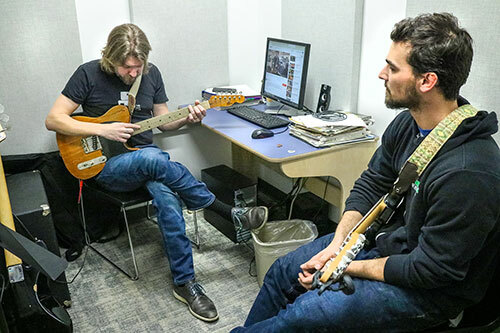 Summer is on its way… and the Uptown Music Collective is gearing up for its summer season! Enrollment for the upcoming summer semester begins on April 22nd. 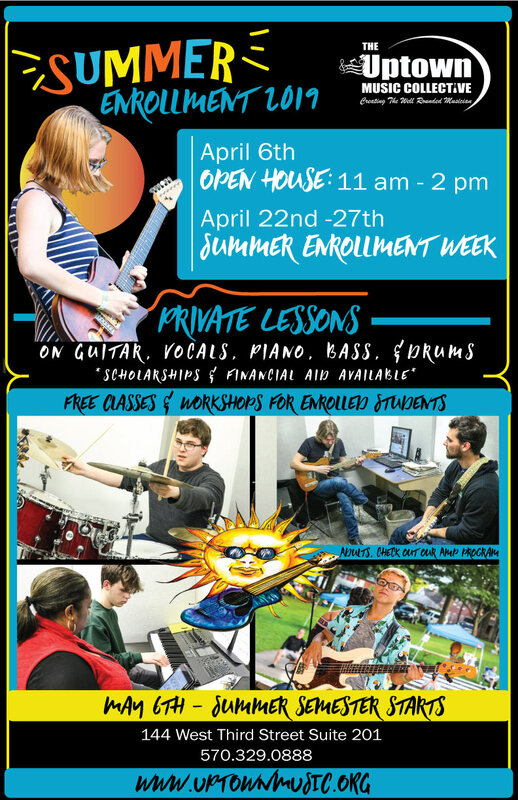 Enrollment is open for private lessons on guitar, bass, drums, piano, and vocals, as well as our renowned classes, & workshops which are offered FREE to all enrolled students! Come and check out the Collective during our open house on Saturday, April 6th from 11-2 pm at our facilities at 144 West Third St in Downtown Williamsport. Prospective students and parents will be able to tour the school, meet with teachers and staff, and enroll for the summer semester. Workshops will be going on so you can check out what takes place at the school on a daily basis. Scholarship & Financial Aid Opportunities are available!